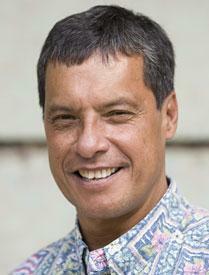 Brief and basic conversation with Professor Jon Osorio about issues surrounding the Hawaiian nation. The U.S. Department of the Interior is holding meetings around Hawai’i, asking how the federal government should be involved in creating a Hawaiian nation. Should the interior secretary propose establishing a government to government relationship with Hawaiians and help set it up? Or should the DOI leave it to the state, with possible federal requirements? Some who have been studying the issue say, neither. HPR’s Noe Tanigawa reports. For a look at the Department of the Interior's plans and a schedule of meetings, click here.